Sony just recently confirmed that the iPod super-hit title, Angry Birds, will be making its way to the minis collection on PSN for the PSP and PS3, starting tomorrow in the US. It will be released in Europe the day after tomorrow, on Wednesday. 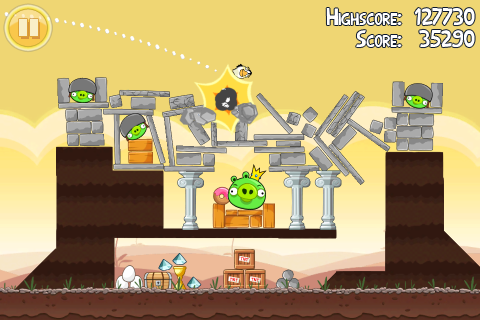 Angry Birds was super-successful on the iPod, having been donwloaded a whooping 50 million times. XBLA and WiiWare versions of the game are also in the works.